David Powers King: Looking For An Awesome Spin On The Fairytale Novel? Then Elissa Sussman's "Stray" Debut May Be For You! Looking For An Awesome Spin On The Fairytale Novel? Then Elissa Sussman's "Stray" Debut May Be For You! Some of you might remember the cover reveal I did for this book a while back. 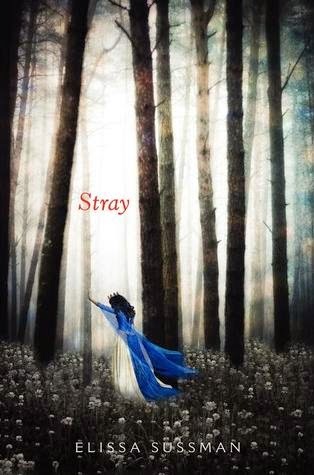 Now the time has come for my friend Elissa Sussman's debut release, Stray! Here's a little more about it, and a trailer! I consider myself lucky to have read this story before it was cool. It's that awesome! Now I just have to wait for my hardback to arrive. All the elements that I love about fairytales has been made fresh again. So fairytale fans rejoice - you won't want to miss out on this one! And if you want a chance to win a copy, drop me a comment below. I'll do a random raffle and announce the winner next week. Congratulations, Elissa! This is the first of many more to come. I'm David, and "don't Stray from the path ..."
I've heard nothing but good about that book! Hope you get your hardback copy soon. This is very intriguing. I definitely want to check this out! Ooh, I do remember you mentioning Stray before and being intrigued by it. I'm now even more intrigued after watching that trailer. So evocative! My copy just arrived in the mail! Really excited to read this book as the story line sounds very interesting. And the cover art...WOW!!! One of the best and most enticing covers I have seen in years. Actually creates a physical/emotional response for me and makes me want to find out what is going on with the woman on the cover. I've heard quite a bit of this book. Definitely one to keep an eye on! Congrats to Elissa. Terrific cover and trailer. Awesome you got to read this too. I really liked it. Let someone who hasn't read it win. And I just downloaded your ARC from Edelweiss. Can't wait to read it. This book is kind of chilling. What is wrong isn't want but what you to get what you desire. The book is also sold at The Book Depository. Hope this is international. This is on my list and I'm looking forward to reading it! You had me at Fairy Tale and then the blurb sealed the deal. I'm in! I love reading new spins on fairy tales! That book trailer was pretty great too. Congrats to Elissa! Sounds like a great read.